Last October, we reported that the VA announced that it was going to require all VA Disability Claims and VA appeals to be submitted via standardized forms beginning March 2015. On March 25, the VA announced that the use of these standardized claim and appeal forms is now required. The VA is hoping to streamline the claims and appeals process by using only these forms, which guide veterans to list clearly what symptoms and/or conditions they are seeking benefits for and to ensure that all the necessary information needed by the VA to properly process the claims is provided. In reality, this requirement makes very few actual changes since the standardized forms have already been in use for years but were simply not the only accepted way to submit a claim until now. There are a couple of notable differences to point out, however. First, service members applying for VA Disability before they are discharged from the military do not have to use separate forms any longer. Everyone applying for VA Disability, either before or after discharge, now uses the same form. Second, the VA has launched a new “Intent to File” process. Veterans who are unable to get all the supporting evidence they need to submit along with their claim in time to meet the 1-year deadline (for eligibility back to the discharge date) for VA Disability Back Pay can now submit an Intent to File form to notify the VA that they intend to file a claim. As long as this Intent to File form is submitted within the 1-year mark, the veteran will still be eligible for disability benefits dating all the way back to his discharge date. We provide complete instructions and all forms needed to apply for VA Disability, along with examples on how to fill them out, on our VA Disability Claim page. Similarly, all details and forms for appealing the VA’s Rating Decision can be found in the VA Appeals section of our Is Your Rating Wrong? page. While the changes in the forms are relatively minor, the VA hopes that the use of standardized forms will make it easier for applications to be processed more quickly and efficiently and, hopefully, reduce the amount of time it takes for veterans to receive their benefits. 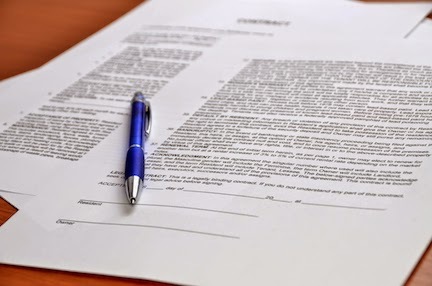 Again, we remind you: submitting proper DOCUMENTATION and complete information along with your claim is key to getting your claims processed in a timely manner. And, of course, the easiest, fastest way to submit a VA Disability Claim is online through the VA’s eBenefits portal, www.ebenefits.va.gov.